Idea Cellular has recently revised its Nirvana range of postpaid plans and all the plans now offer better data benefit than earlier. However, for some unknown reasons, Idea has reduced the SMS benefit with its postpaid plans. Before the revision, Idea Cellular used to offer 3000 SMS with all the Nirvana postpaid plans, however, after the revision, the Idea Nirvana postpaid plans priced below Rs 1,500 offering just 100 SMS for the entire validity period. But the postpaid plans priced above Rs 1,500 still offering 3000 SMS per month, which turns to 100 SMS per day for the entire rental period. Now, Idea Cellular has reduced the SMS benefit from 3000 SMS per month to 100 SMS per month. The plans which offer just 100 SMS per month are Rs 399, Rs 499, Rs 999 and Rs 1,299. And the plans which still offer 3000 SMS per month are Rs 1,699, Rs 1,999 and Rs 2,999. On the brighter side, the SMS benefit is valid across local and national roaming. This is a disappointing move from Idea Cellular, but the telco must’ve done this change to match Vodafone India. 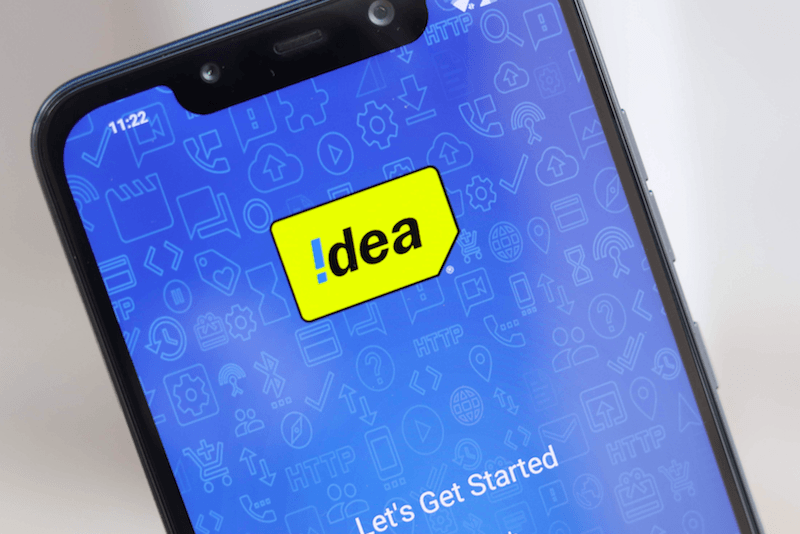 Very recently, Idea Cellular and Vodafone India confirmed their merger competition and formed a new entity called Vodafone Idea Limited. However, the telcos are yet to merge their tariff operations, which might happen in the next few months. For now, customers of Idea Cellular and Vodafone India have to make the recharges separately. And the same case applies to postpaid plans as well. Vodafone has its wide-range of postpaid plans under its Vodafone RED scheme, while Idea Cellular’s postpaid plans are called Nirvana plans. At least, Idea Cellular is offering 3000 SMS per month with its high-end plans, but Vodafone is offering just 100 local and roaming SMS benefit with all of its RED postpaid plans. After the recent revision, Idea Cellular’s Nirvana range of postpaid plans now starts at Rs 399. The base Nirvana 399 plan comes with a total data benefit of 40GB, followed by the Nirvana 499 plan which gives a total of 75GB data benefit. The Rs 999 Nirvana postpaid plan from Idea Cellular gives 100GB of data benefit and the Rs 1,299 plan provides a user 125GB of data benefit. All the Idea Nirvana postpaid plans also comes with Data Carry Forward functionality, but the maximum data accumulation differs. Idea Cellular is allowing users with any postpaid plan below Rs 999 to store up to 200GB, while users on postpaid plans above Rs 999 can carry forward a total of 500GB. Idea Cellular also has three postpaid plans priced over Rs 1,500- Rs 1,699, Rs 1,999 and Rs 2,999. The Nirvana 1699 plan comes with 150GB of data; the Nirvana 1999 plan provides a user 200GB of data and lastly, the Rs 2,999 Nirvana postpaid plan gives a total of 300GB data every month. ME & MY Friends, who don’t use Social Media. You & your teammates might be on an earlier plan. You don’t need to bother. While for the New Additions. Ab toh bilkul bhi New Users nahi aayenge..alag tarah k reforms hain yeh. They also have changed the Service Validity of Prepaid Users and one cannot have Main Balance too. What type of joke is this from AVoId?